Is Testing for Mold a Scam, or Worth It? The first house I bought was pretty moldy! If your house has mold problems, or you’re considering buying a house with mold, here are some things to consider before paying for a mold assessment. My first house had obvious mold, so I had a professional mold assessment done. When the inspector finished assessing my house, I was provided a lengthy report showing the various mold strains and concentrations. While it was a relief to know I didn’t have the infamous toxic black mold, Stachybotrys chartarum, the conclusion that the house was full of mold came as no surprise. However, what was valuable was the water assessment. The mold inspector went over the house from top to bottom with a moisture sensor, and he showed me exactly where water was infiltrating the framing of the house and causing mold and rot. It turned out that in addition to a problem with water in the basement, rainwater was seeping in around both chimneys and through some invisible roof leaks. As we inspected the house together, I was also able to determine that it was structurally sound. Learning that my problem was more about cleanup, than carpentry, helped ease my peace of mind. I had already repaired everything I could find and there were still problems, such as unexplained allergic reactions. I was buying a house that had been remediated for mold and wanted to verify that the job had been done right. Moldy, water damaged drywall has got to go! Mold Is Mold: While some strains of mold are more toxic than others, none are healthy, and all mold is remediated the same way. Moisture Is the Problem: If your house is moldy, the real problem is water infiltration and/or prolonged humidity levels over 60%. Unless you correct the water and humidity problems, you’re never going to get rid of the mold. Do More Than Kill Mold: Mold shouldn’t be just killed; it should be removed by scrubbing away the mold growth, replacing wet materials, and fixing moisture problems. Repairs Can Be Expensive: Mold growth can point to larger problems such as leaks, poor drainage, or foundation problems. Making the needed repairs is usually more important than the presence of mold. Mold needs moisture or high humidity to grow. In recent years publicity about “toxic mold” has turned mold inspection and remediation into a massively profitable industry. It’s also paved the way for plenty of scams designed to scare you into paying top dollar for unnecessary testing or sketchy “remediation” plans. No Mold Inspection License: Currently, there are no official government licenses or certifications for professional mold inspectors, which means there are no legal standards or government regulated credentials. I would suggest, however, that anybody you hire to do remediation work should be licensed as a general contractor. Avoid Conflict of Interest: Steer clear of companies offering both testing and mold remediation services. You can bet that if someone’s selling a service, they’re likely to “find” something that scares you into signing up for cleanup. You Get What You Pay for: Free mold inspections are red flags for scammers. Seek out – and be willing to pay for – separate inspection and remediation services. Consider Clearance Testing: After the cleanup work has been completed, you may want to have the original inspector (not the remediator) come back and re-test to make sure the mold is gone. Focus on Finding the Problem: You don’t need secondary samples, surface swabs, or testing of your clothing or furnishings. If there’s mold in the air, you can bet it’s on your sofa, too. Concentrate instead on learning where the mold is originating, and exactly what’s needed to fix it. I found the moisture assessment far more useful than air sampling, and I wouldn’t hire a company that didn’t offer it. Observe the Inspection: Scam companies may turn up the heat (called “house cooking”), or even shake out rugs or pillows to release more spores into the air and make the results look worse. Prevent this by being present during the inspection. Don’t Fall for Gimmicks: Ozone generators, biocides, fumigants, encapsulants, and other mold-killing (or covering) measures can be more toxic than the mold itself; and they don’t actually stop the mold at its source. Remember that mold has to be completely removed, the moisture problem fixed, and the wet materials either dried or replaced. Any other mold killing services are a wasted expense. The U.S. Environmental Protection Agency recommends a commonsense approach to mold – if you can see visible mold growth, then there’s no need for a mold inspection. Since there are no federal standards for mold levels, there’s no way to “pass” or “fail” an inspection, though after your project is completed, it may be useful to test to find out if you’ve gotten everything cleaned up. Good article. However, depending on the state you live in, there are licensing requirements. I live in Texas and am a licensed mold assessment consultant. I’m also a TREC Home Inspector, HUD Consultant, and Certified Applicator for Pest Control. Just for the Mold Consultant license we are required to either have a 4 yr degree in a STEM field plus a yr experience or a higher amount of experience plus varying levels of education. Plus we still have to have 40 hours of course work and take a state test. Then carry E&O insurance. You are right, you do get what you pay for. I try to not scare my clients because that doesn’t help anyone. In Texas you only have to have a licensed Mold Remediator if you have more than 25 sq ft of surface mold in one spot. However, if you are cutting out sheetrock, at a minimum you should really set up a containment area (6 mil plastic, floor to ceiling, wall to wall or cover a doorway and run a hepa filter). No one comes behind you if your not filing with the state, so I give my client my recommendations. Its up to them to follow them, ask me questions or what not. I’m prohibited from doing the actual remediation by law, so I’m just making more “work”. I do charge for my services and start at the lower end of air sampling and go from there depending on what I see on site. One of the biggest mistakes you can make as a home owner is to take it on yourself in some cases. I’ve inspected after Harvey and people went crazy tearing every piece of sheetrock out of the house. The end result was sky high mold spore count that takes 2 weeks min to air scrub, plus every surface area should be wiped down. At the end of the day its your health. Generally, the landlord should preapprove any inspection that would occur at the property. That said, we do recommend checking the landlord-tenant laws in your state. Read them in full. It’s always best to know your rights. Then try talking to your landlord, address your concerns about the mold and your health. Do I need to ask landlord to test for mold? I have been having lots of symptoms associated with mold and smell musty odor in home. There have been several water leaks since I’ve lived hear including upstairs neighbors leaks into this apartment. Black mold is present on patio. Thanks for contributing to this conversation, Charles. A lot of homeowners appreciate taking the DIY route because they live on a tight budget. It’s good that your area is financially sound, but the U.S. median income is $59,039, according to the U.S. Census Bureau. That’s not a lot for more than everyday essentials, particularly when it’s divided to serve households with multiple members, so every penny counts. I agree and disagree with what you’re saying to an extent. 1) A good mold inspection process, such as the ones recommended and outlined by PMII or NAMRI, include checking the grounds, landscape and foundation, the exterior and gutters, the interior, the HVAC system, the plumbing systems/sinks/showers/tubs/bathrooms, and the attic and crawl space (and roof issues can be estimated by examining issues in crawlspace), for water issues which can cause mold. It’s true- visible mold should be removed. But AS YOU MENTIONED, the water issues must be fixed first, before a remediation process can be effective. And a homeowner- as much as everyone always likes to feel like they know it all- often doesn’t know everything that’s causing moisture/water problems. Example: They might know they have a burst pipe. But what about when the inspector also points out the moldy underside of their deck that has screw holes leaking water into the home? What about the ground pooling water around and into their foundation (hence musty basement smell and mold)? What about when the inspectors equipment shows mold inside of their HVAC or backside of their drywall? how is a homeowner going to know any of this? And even if they COULD know all this through research… no offenseee but a lot of people make enough money that they just don’t want to deal with spending 40 hours researching and 5 hours inspecting their own home (it’ll take at least that to do your first home inspection properly and completely, as a novice). Many people make $1000 a day and can spend $250-$300 to get a proper inspection, at least in my area. FYI: Did you know- moldy grounds creates higher mold spores around the homes exterior which can lead to more mold spores landing inside the home naturally? Excess trees and plants close to home, improperly draining water, etc. There are a number of factors that have to be considered in a situation like this. We would really recommend you get a second opinion to increase your comfort level. We knew we had a mold problem in a basement bedroom caused by a leaking upstairs toilet. A tester came in and found aspergillus at 92% and strachybotrys at 3.6%. The cleanup was set up (same company…I know, I know now!) and the guy doing the cleanup now recommends we test and treat for mycotoxins. Is that necessary if retesting shows the mold has been mitigated. Just don’t know who to trust and whether we are being sold unnecessary treatments. I love the article. I own a company that provides mold remediation. We see so many dishonest companies in this field, and we are constantly correcting all the dishonest and bad advice that is floating around – like mold spores! I am glad that you point out that ozone & hydroxyl machines, while (possibly) effective at possibly killing mold, do not eliminate and remove the spores! They have to be removed through cleaning and advanced filtration techniques. Also, a homeowner should RUN, if the company provides testing AND remediation. It is a conflict of interest. We offer to only take a “look”, if we find issues, (and sometimes if we don’t), we will recommend several industrial hygienists to conduct air sampling and testing. We do not test, and we always insist on post-remediation testing (clearance). This is the only way to protect the homeowner and the remediation company. Thanks for your article! I rent a house. The water from the whole top of the block drains into the yard of this house, then of course the crawl space is filling with water, about 4 to 5 inches last time we checked. We are finding mold in the corners of the rooms. Yes, some of it is black, but I don’t know if it because it is the toxic mold or not. My landlord offers no solutions. Only to make sure the humidity is right and they admit that they knew the house had water in the crawl space before. I’m lost. I don’t want to pay for this out of my pocket, but I have a grandchild who comes over and a dog and a cat that I don’t want getting sick. I have had a runny nose for almost a month, but it only runs when I am at home. Any idea who can I contact for help? An attorney told me to find somewhere new to live. I know we have mold in our home. I see it outside of the lower wooden deck area, on the outside wall of our house, on the glass window in almost every room, the musky smell from our cabinets, one room I can feel the wall is slightly warp…etc. So as you can see there is likely a mold problem. You mention that it is better to have a mold assessment when the house is completely remediated. How is the Mold Remediator able to determine the precise location where and what is causing the mold without assessing it? Mold is not only dangerous – It can also be a business liability! If you even think mold might be a big problem in your house or business you should definitely seek help! Granted, there’s a big difference between instances like Vicki’s with her landlord (in above comments) and a simple mold issue that you can figure out the source of and can clean up yourself. If you do hire someone be sure to make sure they’re a reputable company to prevent getting scammed. My name is Jacob Mermin and I own Jacob Mermin Inspections Inc. In Cape Coral Florida. I am a state of Florida licensed mold assessor and licensed home inspector. Florida is one of only 4 states that require mold assessor and home inspectors to have a Florida license to do this work. Last time I checked the state of Florida has a Government so the statement stating that there was no Government oversight is wrong. Unfortunately the other 46 states in the USA are way behind the times and it appears that they do not care about their residents. The best way to protect yourself in Florida is to hire a Florida licensed mold assessor. If you think you might have a mold problem and you are selling the house it’s a good idea to have a mold assessment and testing done. In Florida you must disclose that you have had a mold issue remediate do or not when the house is put up for sale. In Florida the remediation contractor cannot do the initial inspection, testing, write the protocols, do the clearance testing, or clear and release them selves from the job. Sometimes mold testing is not not needed especially when you can see it in front of you. But when you can’t see it but you can smell it some form of testing like air testing is a great tool. I tell my clients that it is a lot easier and less expensive to clean dirt rather than mold. It is also very important to do clearance testing for your client to insure that the job was done properly. The expense of clearance testing is the responsibility. The expense of the clearance testing is the responsibility of the homeowner and I let this be known to them in the initial interview. The initial interview with the client is the most important part of the process. I suggest to my client to have me involved in their project from beginning to the end. I make sure to let my clients know as long as I am their Florida licensed mold assessor my loyalty is to them and them only. I also found not take any commissions, kick backs, or bonuses from the remediation contractor. I travel all over SW and SE Florida ever day. I have mold issues at my house, and I already done mold testing and assessments on the property. I need to do some remediation and restoration work specific in attic and 2nd floor and basement. Can you recommend a good mold remediator and any good contractor within the greater Toronto area. The author didn’t say you should hire a general contractor to test for or remove mold, she said that it would be a good idea if the mold remediator you hire should also have a general contractor license. I read on your web page that you believe that if a homeowner needs a mold remediator that they hire a general contractor? incorrect. This is why: General contractors are builders. They like nails, drywall, paint, framing, concrete, etc. Most general contractors have the minimal $12,500 required insurance for their trade. General contractors generally dont understand or know proper containment procedures for mold remediation. They might not understand material permeance factors and how mold can affect those types of cellulose building products. If you need a mold remediator that understands molds, how molds grow and how they affect building materials (including how to remediate mold) then a good start would be the IICRC . They are one of the current organizations that issue and regulate certifications for water damage and mold remediation companies. Most mold remediators that walk into commercial properties are required to have a 2 Million dollar policies. After the mold has been properly removed a general contractor can come in and do what they prefer, build it back. I rented a home with severe amounts of black mold. I became very sick. Even after partial remediation efforts were made – there was still visible black mold on the air duct insulation, and I suspect in the walls and floor of the house. An environmental testing company came out – did a ten minute air trap test – and the lab results showed NO mold. I say this whole thing was an expensive – totally unreliable test. There was still visible mold on the insulation of the air duct lines and I was still sick in the house. I do not trust these air trap tests and feel real estate people could use them to support a no mold diagnosis in homes that do in fact have problems. I suggest doing physical and visual inspections over these air tests! I am an eighty year old lady who had a contractor do new remodel work. Was sick and not gettinng better so told the contractor and too bad. I had this proclean fellow come out and the report said I had a very high mold in home. They pressured me to do the work…Three small walls..as my home is 360sq ft. and $14,500 to do work.They did the final test and it was ok. THey did use a lot of chemicals and I still have some breathing problems. I have paid half of the bill and have measured etc and I was scammed a few thousand at least. I read about the chemicals on your site. could they still be in the air I have to use inhailers now. Our article never says that mold in a home is not a serious problem, and the author makes it very clear that mold in a home can cause health problems, may indicate other serious problems, such as leaks, and should be removed. Also, there is also no mention in the article about chemicals used to kill mold causing cancer. In fact there is no mention of cancer or the chemicals used at all. You might want to click on the links at the bottom of the article, in particular our post on “How to Prevent and Remove Mold in Your Home” for more information on the subject. Your article was used by our landlord to “pooh-pooh” black mold that is growing in the basement under our store front. 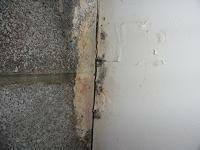 The landlord is calling the service we had look at the extensive damage, a “scam” using your information. This black mold has been tested (it was sent to an outside lab, not done by the mold service) and is the “infamous” type and is extensive, covering thickly everything from the floor to 4 feet up on carpeted walls (yes, carpeted! ), and has eaten away the structural 2×4’s to that height as well. Just spending 3-4 minutes in the basement causes a person’s eyes to water and difficulty breathing. Because you have indicated that the chemicals used to first kill the active spores will cause cancer, the landlord is unwilling to use them. The furnace is in the basement area as well so turning it on will likely spread spores all over the store. Not every service to clean up mold is a scam. The estimate for performing the work was well written out and the proper remediation was less than $3000. It would have been more responsible to also write about what is the correct procedure and what types of services are reputable. Now, according to my landlord, I get to either suffer from mold or cancer and the landlord gets to choose. There are significant dangers from mold and your article leans too much to the scam and doesn’t provide enough educational information on what is appropriate remediation. Maybe I should send you pictures to use when mold is dangerous for your next article! I was scammed and I know another family who was scammed. The home inspector finds mold. They always do. Recommends air testing and it is always bad. Why? Because they always find aspergillus. Then they recommend a local company and it is always the same one for clean up. They come in and bid over $11,000 for a simple cleanup that I could probably do myself. I think people should also be aware that home mold test kits are not accurate or effective. Professionals know where and how to properly conduct a mold test, and will also help with putting together the cleanup protocol.